Marble, 68 x 31 x 25 cm. In addition to being a merchant, politician, landowner and, not least, father to Johannes Hage, Alfred Hage was also a patron of the arts. He commissioned several works from the most prominent artists of his day, and a number of these would later become part of his son Johannes’ art collection. When H.W. 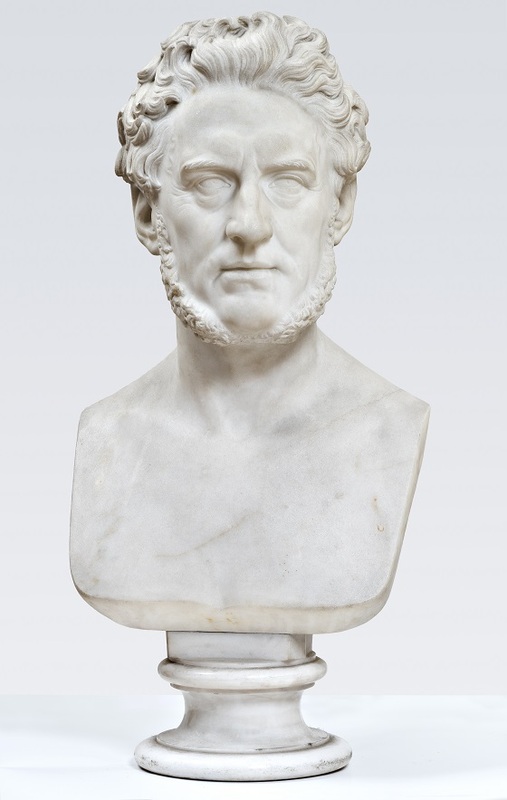 Bissen began sculpting busts of members of the Danish high society in the 1850s, Alfred Hage was unsurprisingly one of his many patrons. With this bust, Bissen studiously replicated many of the aging landowner’s facial features such as the beginnings of bags under his eyes, clear furrows, sideburns and prominent nose. These physiognomic characteristics are, however, reproduced with a soft modulation that emphasises the harmonious form of the overall composition. The focused and observant gaze also injects a certain vivacity and presence into the bust.